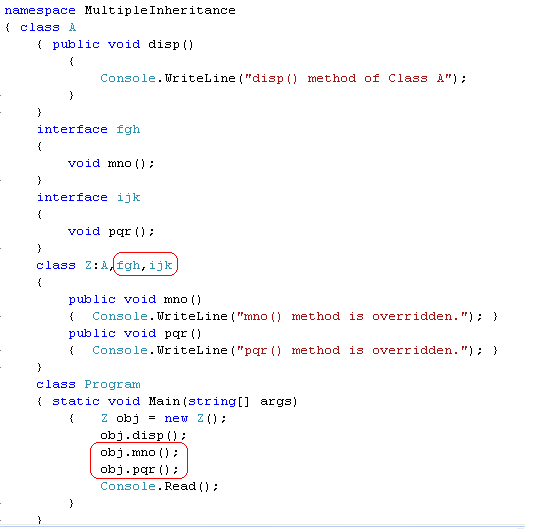 This article shows how multiple inheritance can be effected by the use of interface. 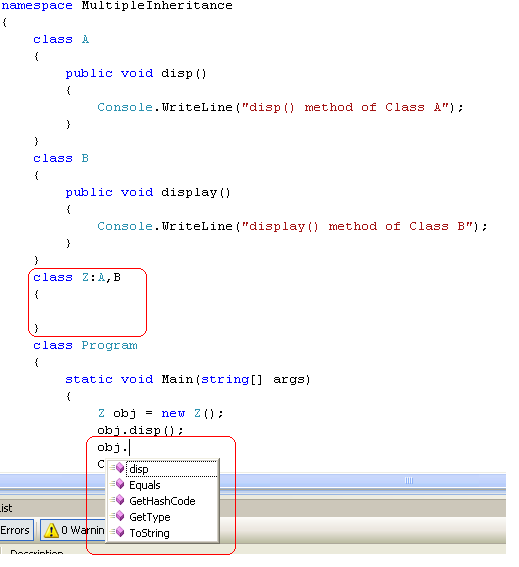 Here intellisense is also not providing the method name of the class B. 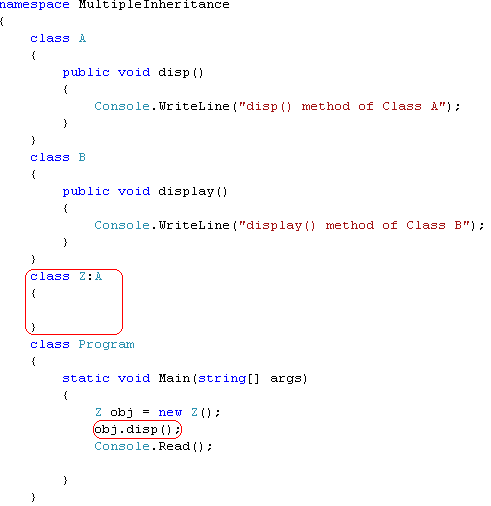 Thus restricting multiple inheritance using more than one class. Here multiple interfaces can be used using comma(,). Thus allowing multiple inheritance, by implementing more than interface. Hope this article will be useful.